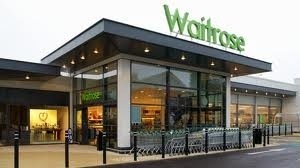 StockMarketWire.com – Waitrose has announced its first export deal in South Africa. The deal means that the supermarket will be selling its products in every continent, with the exception of Antarctica, and exports to 50 countries across the globe. In one of its biggest deals to date, more than 250 of the supermarket’s own-brand groceries – from essential Waitrose to Duchy Originals From Waitrose – are now available in Food Lover’s Market stores in South Africa. Food Lover’s Market’s 120 stores, owned by Fruit & Veg City, draw on inspiration from across the world to create stylish and modern food emporiums for customers looking for exception quality and variety. It will also be available in selected Fruit & Veg City’s Freshstop at Caltex service station shops. Waitrose has, for many years, sourced fruit and wine from South Africa, supplied by Waitrose Foundation farms, which return a percentage of profits to its farm workers. This new agreement marks another first as Waitrose products are exported to the country. Among the items being exported to South Africa are shortbread, muesli, risotto and pasta, ice cream, sorbet, and even Waitrose wines from across France, Italy and Portugal. Waitrose export sales grew by nearly 30 per cent last year with recent additions to the export business including South Korea, Taiwan, Ibiza, Australia and Gibraltar. Among the most popular exports are Waitrose teabags, custard creams, crackers and marmalade. As well as meeting demand from expats, the business is seeing significant growth from local populations who are keen to try out European flavours. A recent success story was when essential Waitrose mayonnaise launched in Chile – only for the shelves to be cleared within hours. Waitrose business to business director David Morton said: “To be exporting to six continents is a landmark moment for us. “South Africa’s economy is growing and we’re very pleased to be working with Food Lover’s Market to meet the rising demand for cosmopolitan flavours among their customers. “We’ve been working closely with farms in South Africa through the Waitrose Foundation for nearly a decade so it’s fantastic to be exporting to the country as well as importing its produce. Posted on February 27, 2014, in #retail, #southafrica, #uk, Other. Bookmark the permalink. Leave a comment.